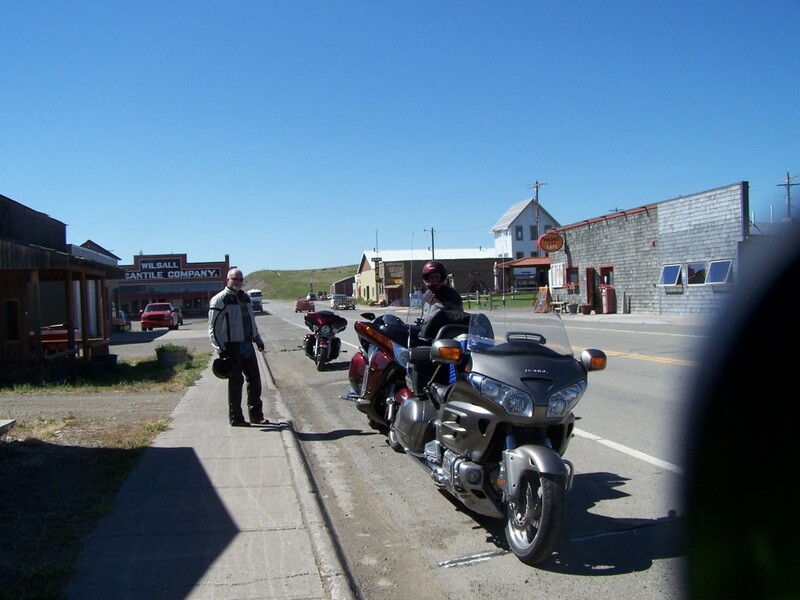 Today is day 11 of my 5000+ mile, 17 day motorcycle ride… Larry T., Larry A. and myself have ridden together for 10 days seeing some of the most scenic parts of the western US. On day 5 we turned onto US-89 just north of Prescott, AZ. 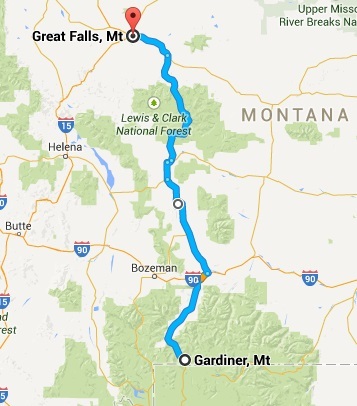 Today we continue riding up US-89 to Great Falls, MT from Gardiner, MT. Larry A’s old Air Force buddy lives near there so we will be spending a couple of days in the area. 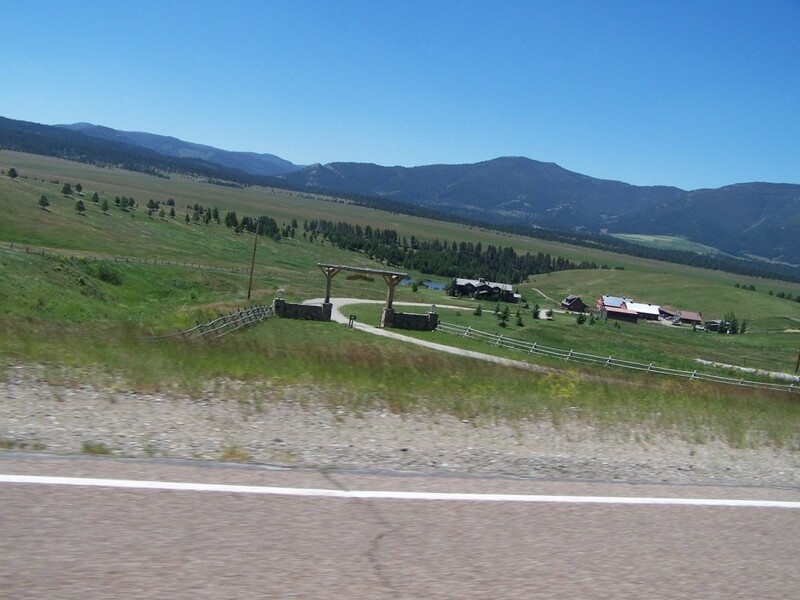 Our ride up US-89 from Gardiner, MT is another scenic one. 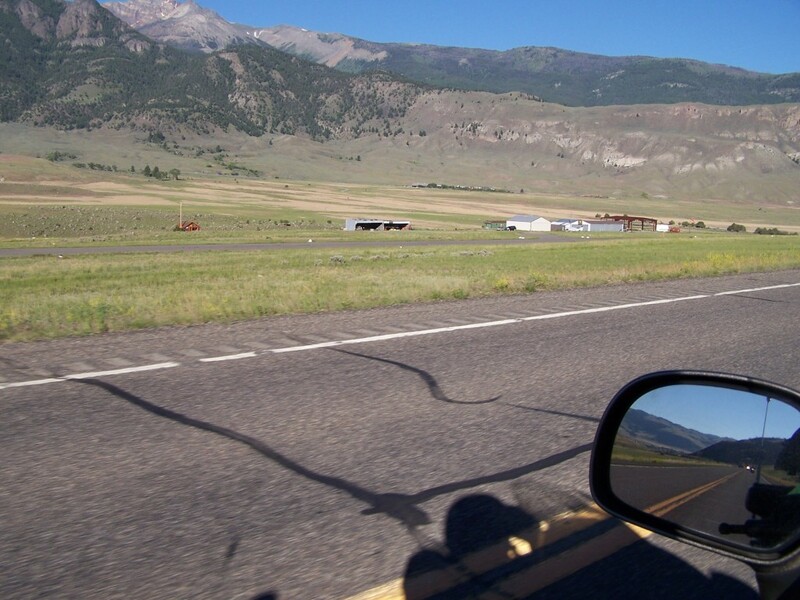 Most notably, US-89 follows the rushing waters of the Yellowstone River north into the perfectly named Paradise Valley. 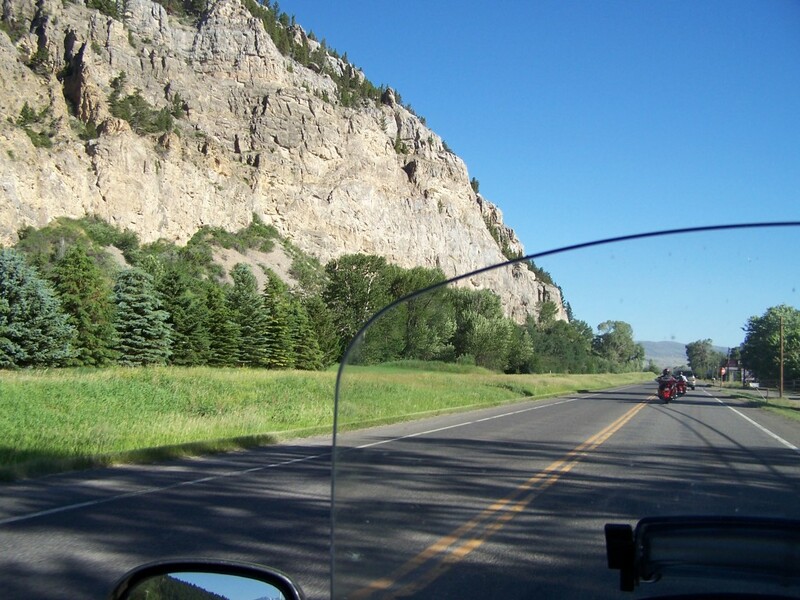 Riding through Paradise Valley we see beautiful views of the Absaroka and Gallatin Mountain ranges in the distance. At Livingston we stopped for a bite to eat. That breakfast at the motel didn’t go very far. 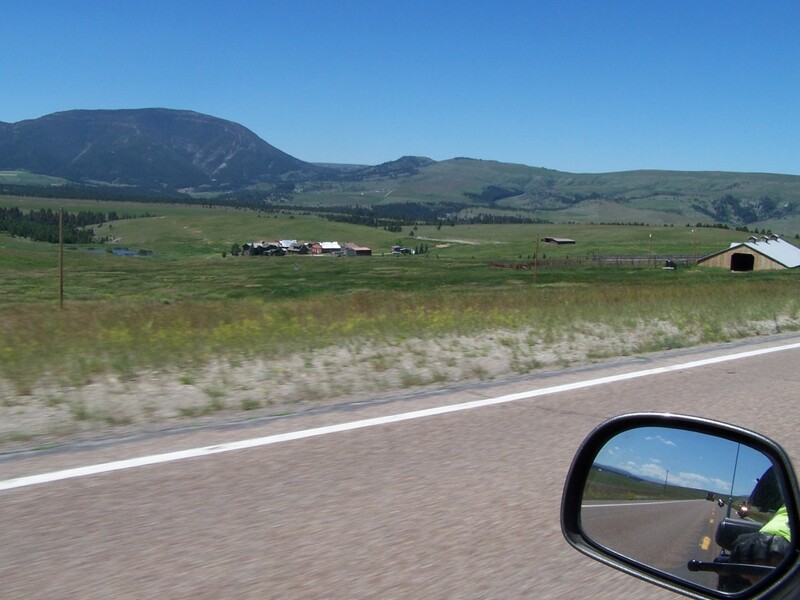 Once back on the road we hopped on I-90 a short distance before continuing north on US-89. 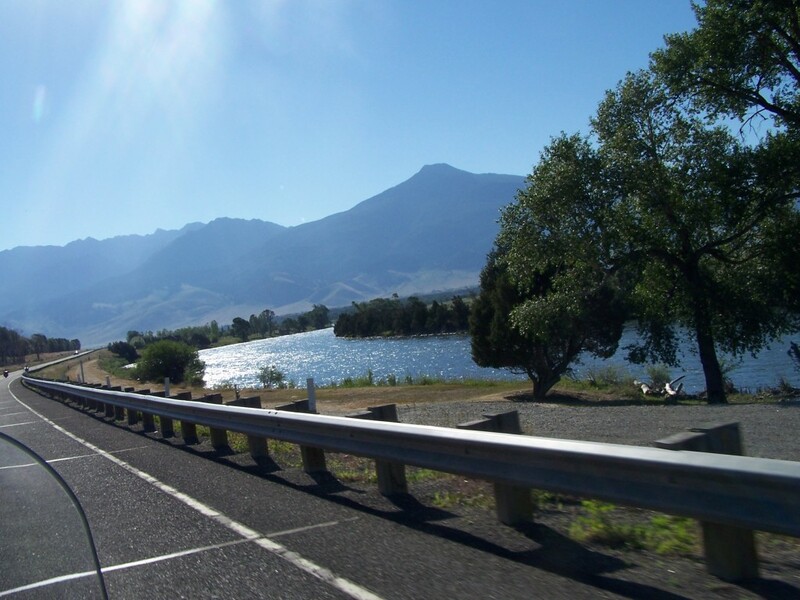 We leave behind the Yellowstone River and pick up the Shields River as our companion. 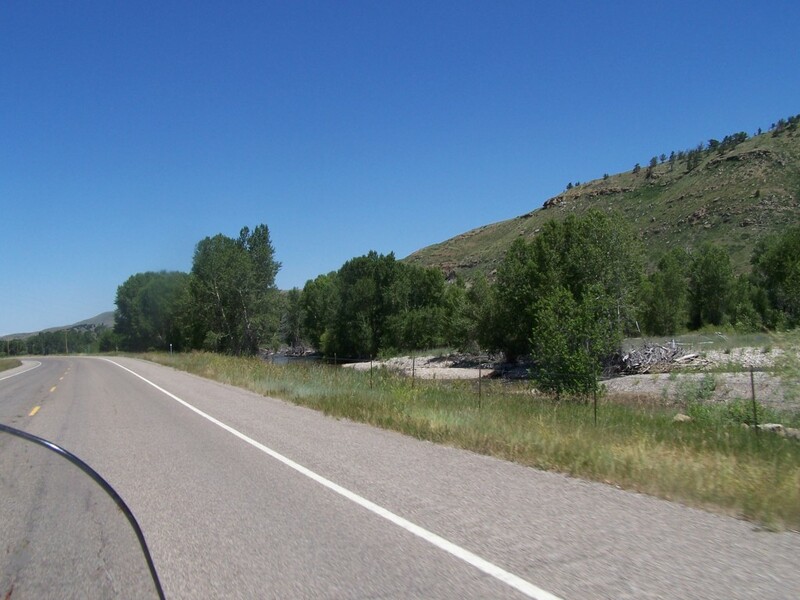 We ride through a valley between the Bridger and Crazy Mountain ranges to White Sulphur Springs. 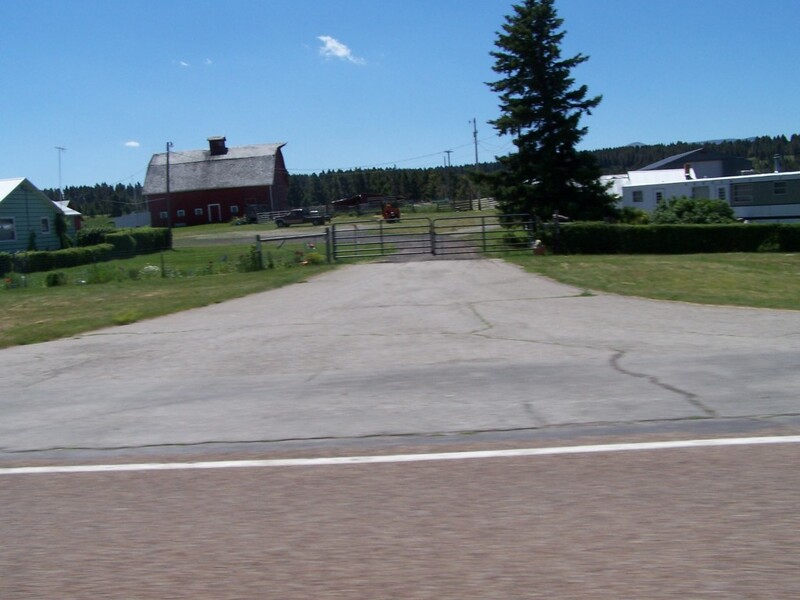 I am really enjoying the small towns, scenic farms and ranches we are seeing. We stopped in Wilsall to stretch our legs, re-hydrate, grab a snack and visit with some of the locals at the Wilsall Bar & Café. 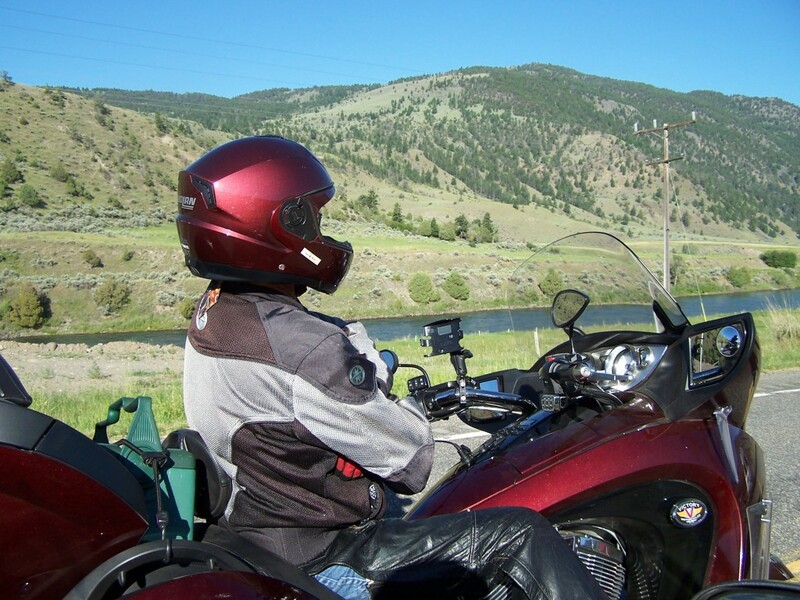 We love talking to the locals about our ride and their experiences riding. Today was another one of those days… The girl at the checkout shared stories of her uncle giving her motorcycle rides when she was younger. I left her with one of my cards and told her to checkout this blog. Hopefully she will read this about herself and leave us a comment. 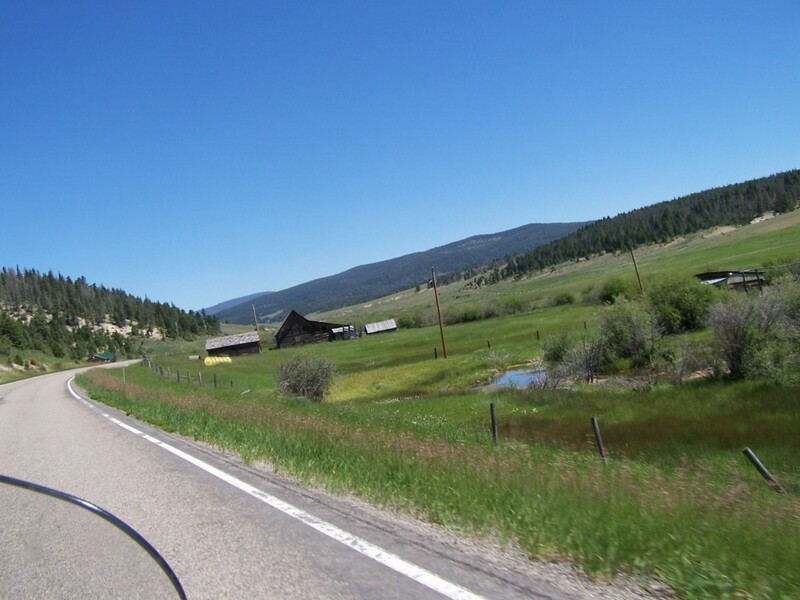 We love hearing from the people we have met on our rides. At Wilsall we leave the Shields River behind. 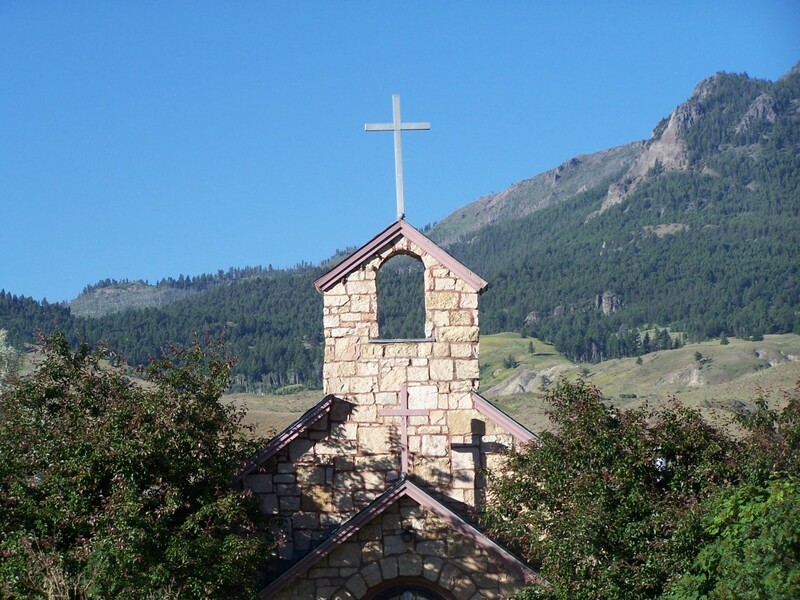 From here on to Great Falls we meet many scenic creeks that follow US-89. 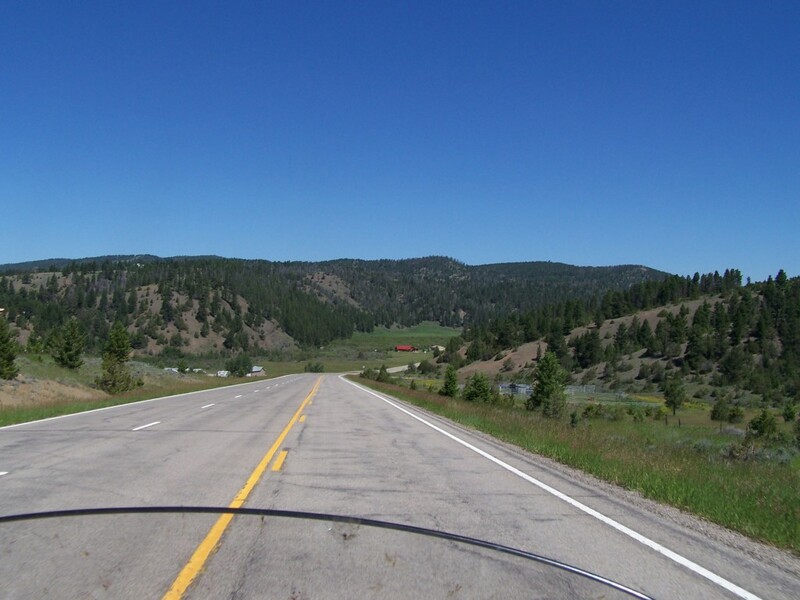 North of White Sulphur Springs we ride into the Lewis and Clark National Forrest. The valley begins to narrow until we are in The Little Belt Mountains. The road begins winding its way through the pine-covered mountains for the next 50 miles. 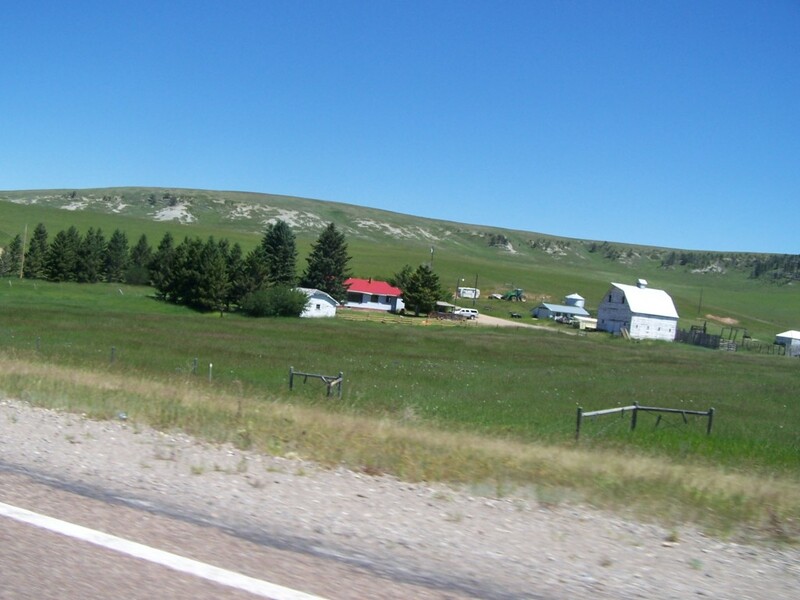 The terrain then flattens and becomes more hilly and the trees more sparse and eventually become non-existent. The closer we get to Great Falls the flatter the terrain gets. Riding into Great Falls we ride past Malmstrom AFB, Larry A’s home for several years while in the Air Force. 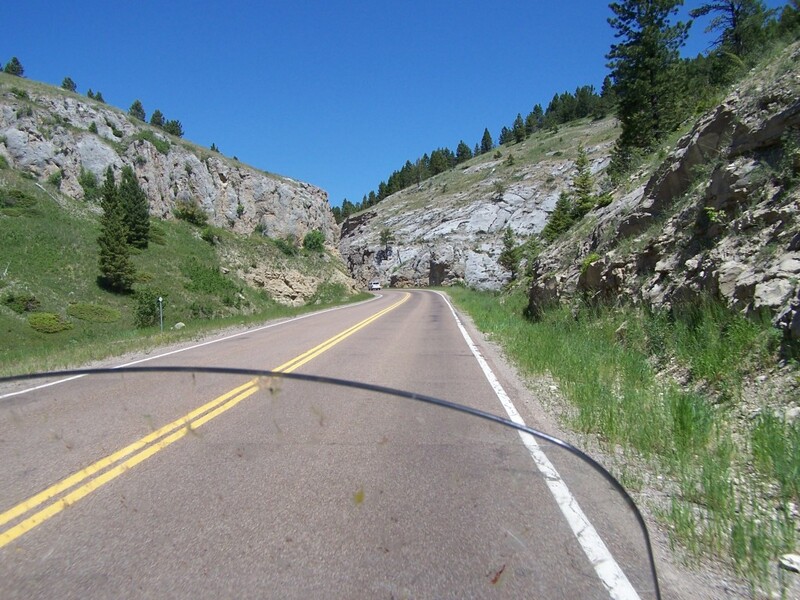 This entry was posted in Motorcycle Touring Logs and tagged long distance motorcycle touring, long distance motorcycle travel, Mormon Temple, motorcycle ride, motorcycle riding, motorcycle road trips, Motorcycle Touring, Motorcycle Touring Logs, motorcycle travel, motorcycle trip. Bookmark the permalink. 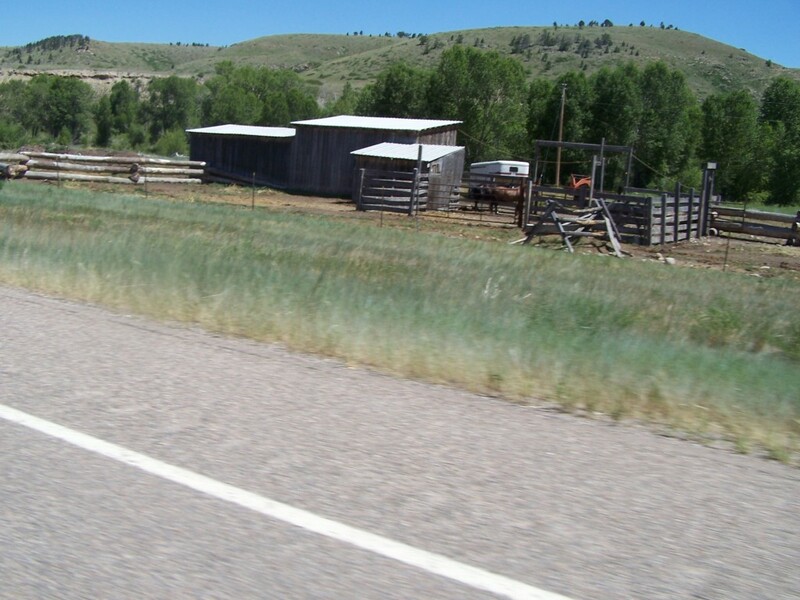 Love the small towns and scenic farms and ranches – one of my favorite parts of the trip!